This beautiful, environmentally friendly energy efficient 3 bedroom cottage will be your perfect home away from home. 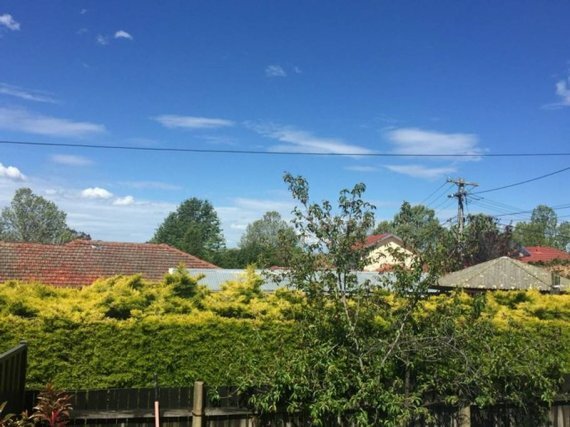 The McKinlay Cottage was built in 2016 and is a cosy 90sqm home that has everything you need for a short or long stay and is situated in the established suburb of Narrabundah, Canberra, only a 10 minute drive to the City Centre. McKinlay cottage is our newest fully furnished and equipped accommodation property family member! There are 3 good sized bedrooms with built-in-robes, a separate toilet, spacious main bathroom and ensuite to the main bedroom. The bedding configuration is two queen beds and a single day bed in the study. The home features a fully equipped kitchen, European laundry, built in sound system and a small private enclosed yard with herb garden. Sliding glass doors lead from the living areas out onto the gorgeous large timber deck which catches the sunshine and with the block set high in the suburb you can sit back and enjoy the views. For the colder months, the thermal mass of the polished concrete floors along with the double glazed windows and doors with thick curtains will keep you toasty. Doing it’s bit for the environment the power for the home is supplemented by the solar panels on the roof and there is a large water tank that supplies the garden and toilets. Located conveniently near the restaurants and shops of renowned Manuka and Kingston, and a short drive from the city once you unpack your suitcase, you will never want to leave this lovely home. Narrabundah is one of the most prestigious suburbs in Canberra’s Inner South, so you are amongst good neighbours. Narrabundah borders Griffith, Manuka and Kingston, is a ten minute drive to the CBD, 11 minutes to Woden, 20 minutes to Tuggeranong and 25 minutes to Belconnen. Canberra’s favourite cafes and fresh food markets are only minutes away. This really is location, location, location for those wishing to experience the best Canberra has to offer. We’d love to have you stay with us. Please contact us directly via phone or email to book this property.